Vitrectomy requires a 22-24 hour-a-day facedown recovery period that can last up to two weeks or even more—and if you do not maintain this position the surgery can fail. 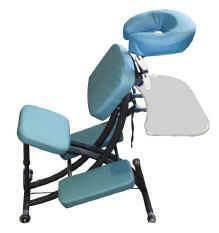 Perkins Medical Supply can deliver a Vitrectomy Seated Support for only $90.00 a week. The Vitrectomy Face Support allows you to be facedown even while sleeping. Relax in comfort and get more sleep knowing that you will be immediately aware of any accidental non-compliance and able to correct it right away. 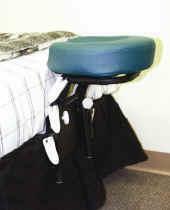 The Face Support rents for $50.00 a week and when rented in conjunction with the Seated Support you will receive the MajikView Mirror which allows you to watch TV and have interaction (normally a $10.00 a week rental). Perkins Medical Supply has three locations in Indian River County and serves Brevard, Indian River, and St. Lucie Counties. Please call (772) 569-3797 or toll-free (888) 837-5467 to arrange free delivery and set-up Monday- Friday, 8:00 a.m.-6:00 p.m., and Saturday, 8:00 a.m.-4:00 p.m.